This just in: a set of Flor modular carpet squares is looking for a good home. Flor squares come in a huge variety of textures and colors that you can mix and match to fit any space—do a whole room, an area rug, or a runner. 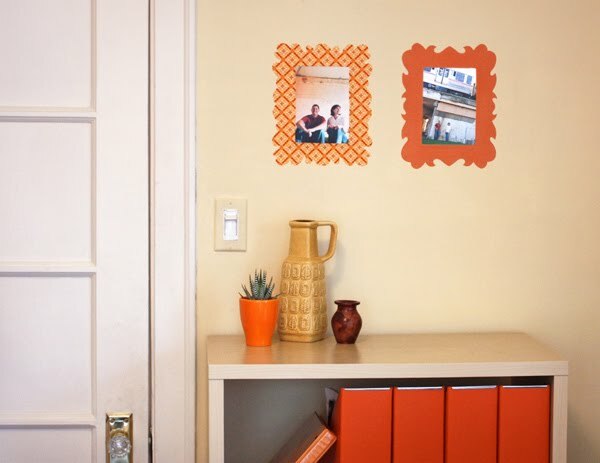 The squares are held together with adhesive stickers that let you pull them up later and move them to a new room or your neighbor's house while they're on vacation. And if you trip over your dog and spill your Coke, just grab the dirty square, wash it off in the sink, let it dry, and put it back. 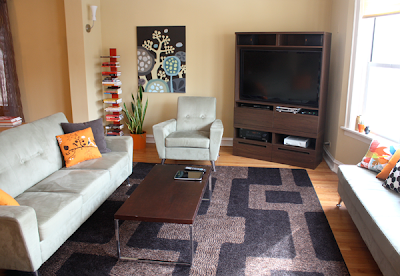 Flor would like to give away a 5'x7' area rug to... you, perhaps? One winner will receive a set of carpet squares in your favorite color. Choose from three styles: the trim and textured Feelin' Groovy, the soft and plush Rake Me Over, or the hip and patterned Haute Stuff. To enter the giveaway, check out the styles and leave a comment with the rug you think would look most fetching in your home. Be sure to include a link, email address, or other way of contacting you. The giveaway closes Friday, Feb. 4 at midnight CT. A winner will be randomly drawn and notified the next day. Update: Giveaway is now closed. The random number generator chose Linda, comment #436, to win a new rug! You have read this article giveaway with the title January 2011. You can bookmark this page URL http://jenkrebs.blogspot.com/2011/01/giveaway-area-rug-from-flor.html. Thanks! We changed a few things in the living room this year, the most obvious being our new, humongous TV. This Christmas we upgraded our 20-something-inch box to a 47-inch flat screen. I must confess that all huge TVs look pretty much the same to me. 38, 45, 52, 69, whatever. But the point is that now we can watch actors whose heads appear four times larger than life, which is super important. The new TV created a problem for us, though. It wouldn't fit in the cheap, ugly cabinet that housed our old TV along with a metric ton of board games and movies. Our requirements for a new entertainment center were: has storage, can stand in a corner, preferably no wider than the TV, looks at least somewhat modern, and doesn't cost an arm and a leg. And that, my friends, is a challenge. After visiting four or five furniture stores with a tape measure and looking at every TV console on the internet, we ended up at trusty IKEA where we bought two pieces of furniture and stacked them: the Besta Boas and the Besta Adal. And then we attached a mounting bracket and slid the TV in with a shoehorn. I share all this in case you, too, are looking for entertainment center options. We love how this worked out. The Avenue Six Wall Street Coffee Table. Don't ever buy this. It took three tries to get a table shipped to us that didn't have damaged corners. And within weeks, the veneer started peeling off like a bad sunburn—whether you touched the table or not. 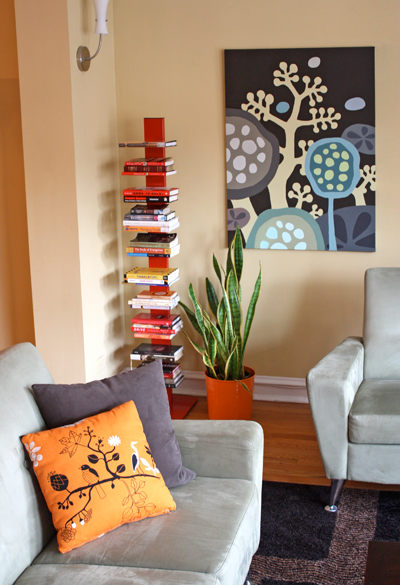 The Array bookcase in red from CB2, my favorite thing in the room when Alex is not present. The Milliken Modern Times Uptown rug. Huge carpets usually cost a million dollars, give or take a few thousand, but we found this 8' x 11' rug when it was on sale for around $200. It comes in other colors, too. Other cost-saving rug tips: Check out other styles by Milliken, including some solid options. Or stitch a few smaller rugs together like this. Or, enter a new giveaway I'm posting on Monday. Stay tuned! You have read this article decorating / home with the title January 2011. You can bookmark this page URL http://jenkrebs.blogspot.com/2011/01/a-visit-to-our-living-room.html. Thanks! You have read this article downloads / paper / valentine's day with the title January 2011. You can bookmark this page URL http://jenkrebs.blogspot.com/2011/01/asterisk-heart-garland-template.html. Thanks! Yesterday I grabbed a couple new computer wallpaper freebies from Simple Desktops. Both with a bit of orange, of course. I love these for their flat fields of color that A) don't hurt my eyeballs and B) enable me to find my files. I chose Vinyl Record by Daniel Waldron and Orange Pencil by Jake Dugard. You have read this article desktops with the title January 2011. You can bookmark this page URL http://jenkrebs.blogspot.com/2011/01/i-gave-my-computer-facelift.html. Thanks! Do you like owls? Do you like paper? Do you have a stack of extra ink cartridges for your printer? 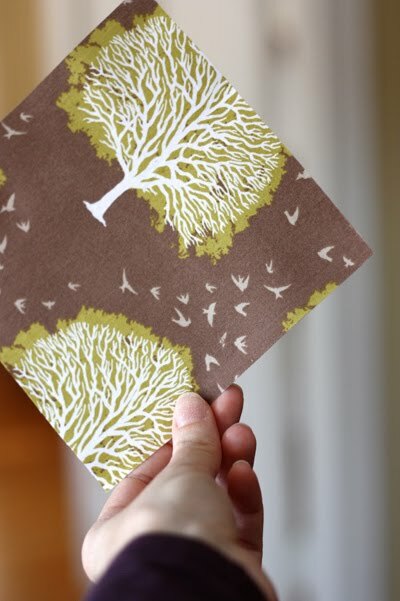 Make yourself an owl army in thirteen different colors with printable templates from 3EyedBear. You have read this article downloads / paper / printable with the title January 2011. 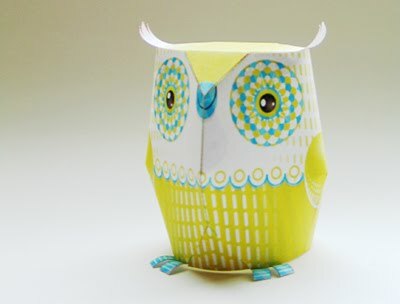 You can bookmark this page URL http://jenkrebs.blogspot.com/2011/01/make-3d-paper-owl.html. Thanks! Awhile back I jumped on a deal that Groupon was offering for Zazzle.com: pay $25 for $50 of credit toward any customized items at Zazzle. And it seemed imperative that I spend this on mugs. 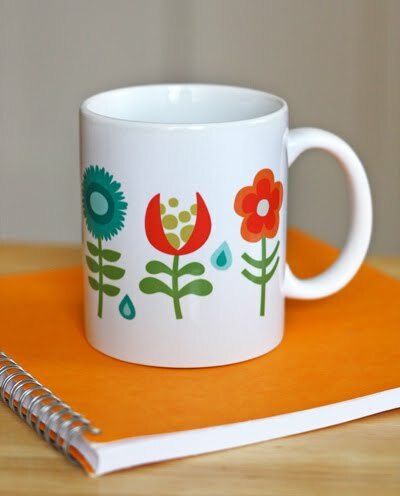 Because I like mugs. So I dusted off some designs I'd made ages ago and uploaded them to the site. 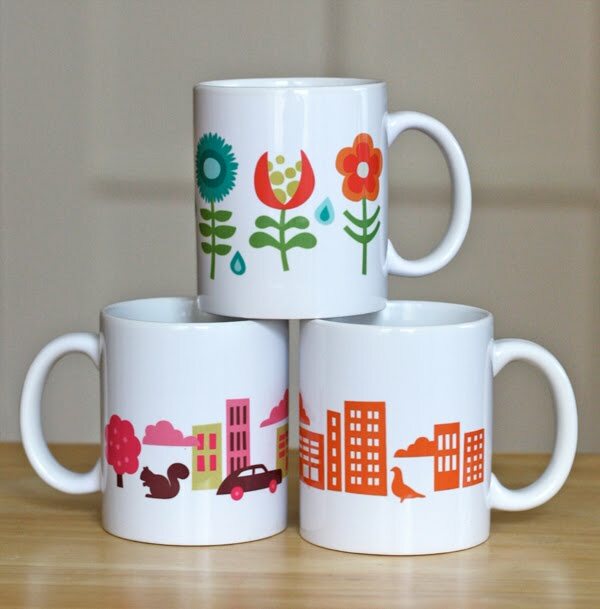 I was concerned that the big white border Zazzle leaves around the print area might look goofy if I chose a rectangular design, so I kept these flower and city shapes on a white background. The cups arrived last week. Happiness! I couldn't decide on a color for the city scene, so I did two: girly pink and allover orange. You have read this article design work with the title January 2011. 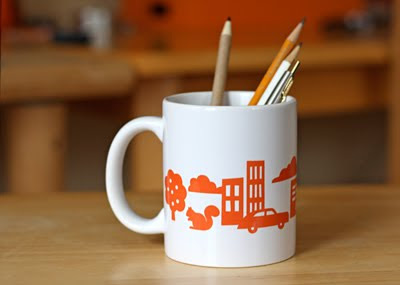 You can bookmark this page URL http://jenkrebs.blogspot.com/2011/01/fun-graphic-mugs.html. Thanks! You have read this article quizzes / time-wasters with the title January 2011. 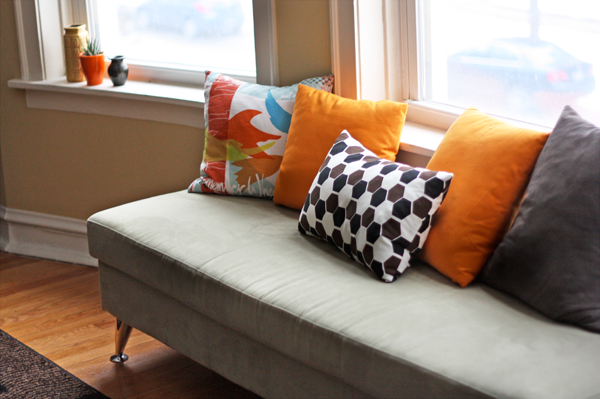 You can bookmark this page URL http://jenkrebs.blogspot.com/2011/01/quiz-what-your-interior-design-style.html. Thanks! It's the last stiffened fabric project and then I'm moving on! I wanted to try an oversized, realistic fabric rose just for fun. 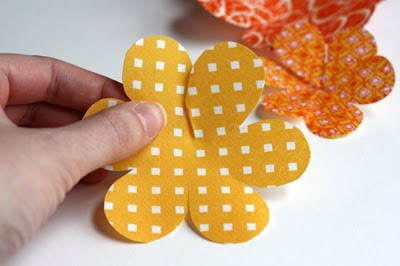 Make a template with six petals. 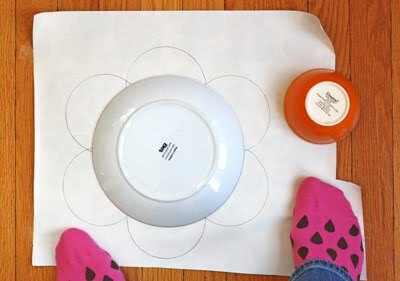 I traced around a dinner plate and a small bowl on the back of some ugly wrapping paper. (Tip: if the paper is too curly, iron it flat and your life will be better.) I've included my feet so you can admire my cute socks. Prepare some stiffened fabric. See here for how I did this. My fabric pieces were too big to lay flat in my microwave this time, so I draped each piece over a couple drinking glasses and nuked them one by one. The fabric came out stiffened in a odd shape, of course, but ironed flat easily. Using the template, cut three flower shapes from the prepared fabric. 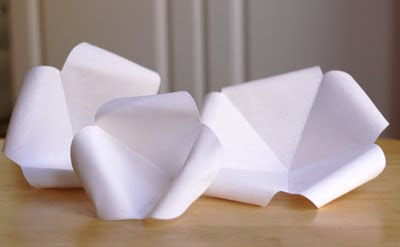 Grab a shape and fold it in half to make a crease between petals. Open, rotate the flower, and repeat twice more until six creases radiate from the center. 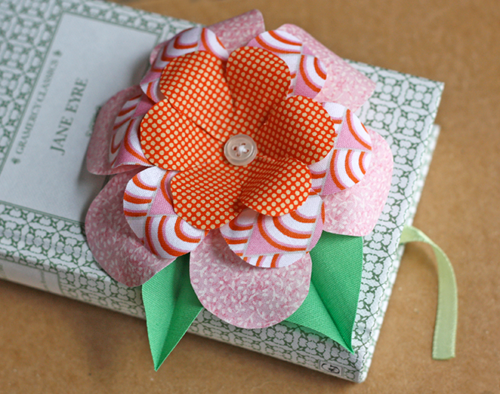 In the first flower, cut a slit along one of the fold lines to the center. In the second flower, cut out one petal segment. In the third flower, cut out a piece with two petal segments. Save these cutouts; they'll form the center of the rose. 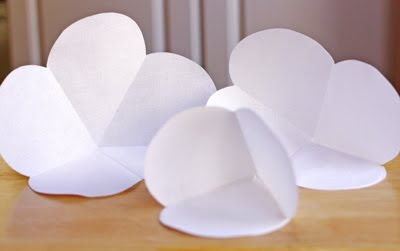 While they're drying, curl the double-petal and single-petal cutouts. 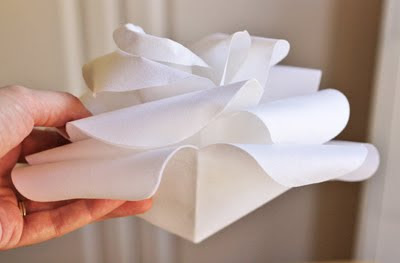 Heat each petal with an iron and roll the rounded edge back with your fingers. 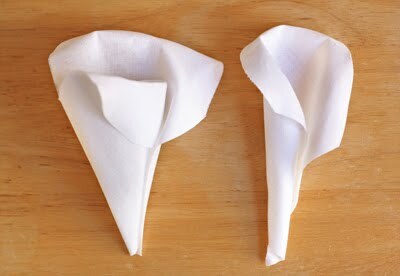 When it cools, heat the triangular point of the petal and roll it into a cone shape that's rose-like. This part is tricky! I had to iron the petals flat and start over a few times until I had something reasonable. The one-petal piece should be able to fit inside the two-petal piece when you're done. 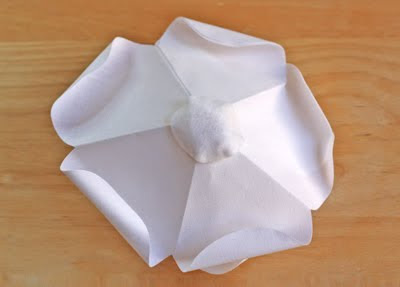 Heat the remaining flower petals one at a time with your iron and curl the edges back. At this point I stacked the pieces to see if they looked nice. Yes! 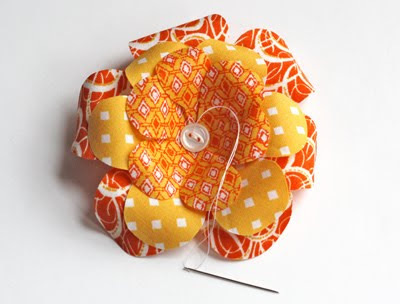 But I decided a flat bottom for this flower might be more useful. I hot glued the petals together at the base, then added a felt circle to hide the trimmed ends. 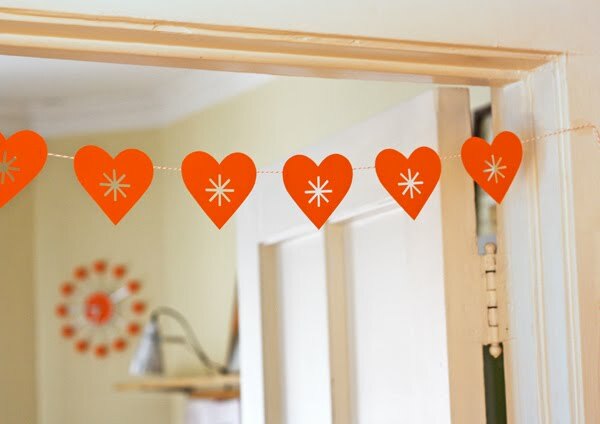 I could see these as DIY wedding decorations, attached to curtain tie backs, used in romantic centerpieces, or gathering dust in my box of finished projects I have no idea what to do with. You have read this article fabric / tutorials / valentine's day with the title January 2011. 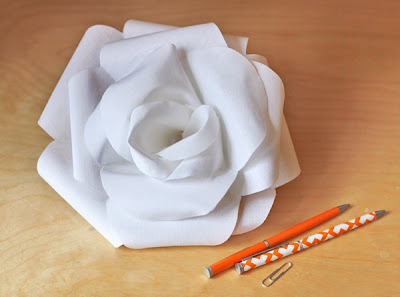 You can bookmark this page URL http://jenkrebs.blogspot.com/2011/01/how-to-make-fabric-rose.html. Thanks! 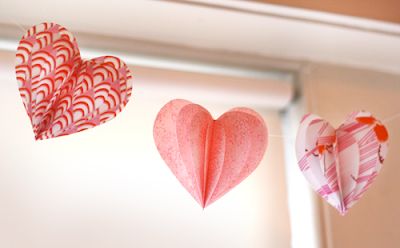 I have a big aversion to heart-shaped jewelry, but I don't mind me some Valentine decorations! Using some pieces of stiffened fabric, I made these easy folded fabric hearts. 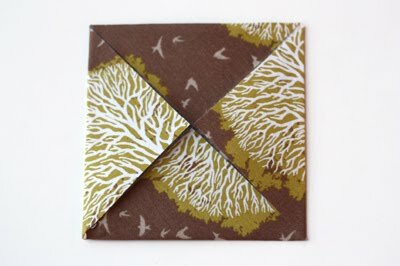 Once the fabric is treated (see here for the how to), it folds beautifully and doesn't fray. 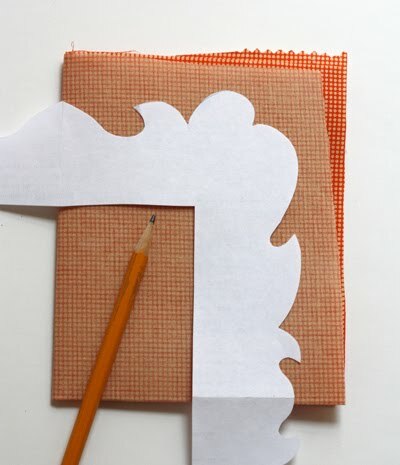 Start by making a set of paper templates. I layered and cut four identical heart shapes, then progressively shaved more off the sides of each one. 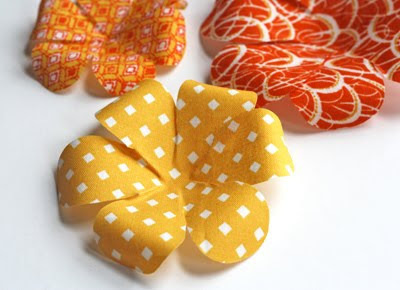 Trace the four heart shapes onto the back side of a piece of stiffened fabric and cut them out. 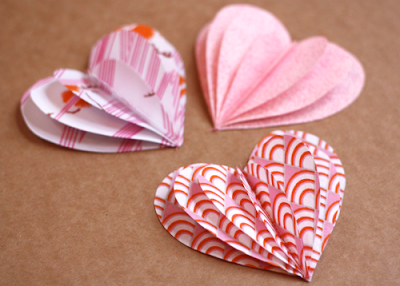 Fold all but the largest piece in half, then layer them onto the largest heart. Stitch a seam up the center to create a "book" and tie off each end. 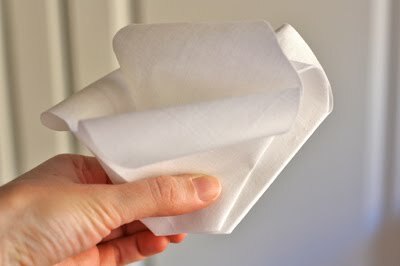 Press the folds with an iron if desired. 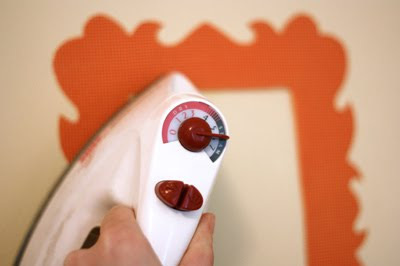 Once the ironed fabric cools, it will hold its shape nicely. 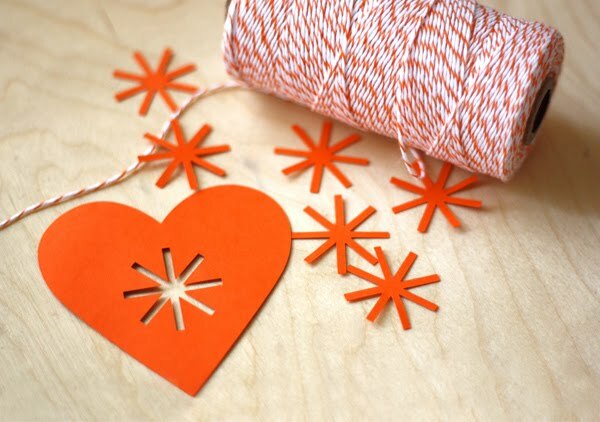 Use these as Valentine package decorations or string them into a garland by running a thread through the bottom-most heart shape. You have read this article fabric / tutorials / valentine's day with the title January 2011. You can bookmark this page URL http://jenkrebs.blogspot.com/2011/01/fabric-valentine-hearts-garland.html. Thanks! 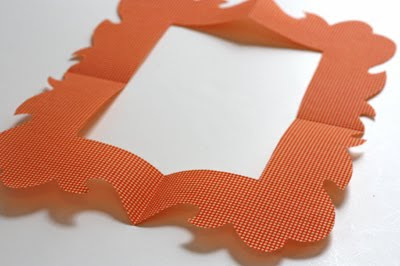 Cut out the paper frame and unfold to see if you like it, confirming the opening fits over your photo. 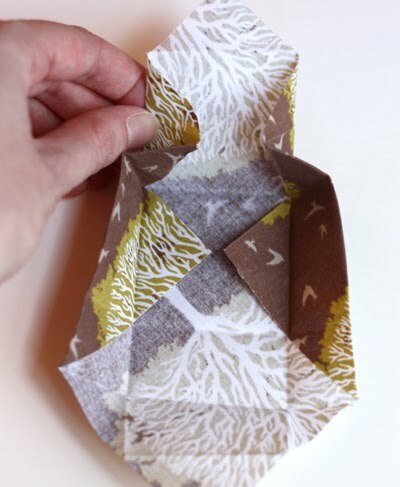 If you're happy, fold the stiffened fabric into quarters and trace your design onto the back side with a pencil. 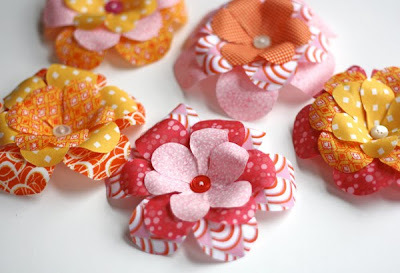 You have read this article decorating / fabric / tutorials with the title January 2011. You can bookmark this page URL http://jenkrebs.blogspot.com/2011/01/diy-fabric-wall-decals.html. Thanks! 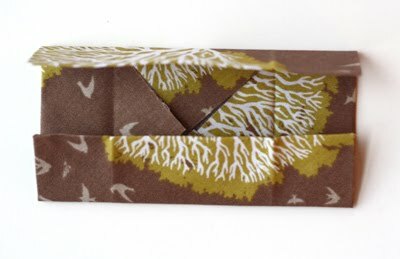 A few people asked how to make the flower on yesterday's fabric origami box. 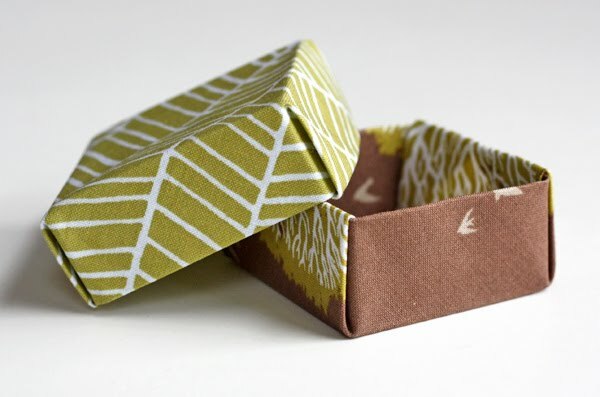 This is an easy craft project that's a good way to use up scraps. Use these flowers to make hair pins and boutonnieres, top gifts, decorate napkin rings, tote bags, wedding aisles, you name it. You'll need some stiffened fabric pieces (see this post for the how to), a pencil, paper, scissors, needle, thread, buttons, and an iron. 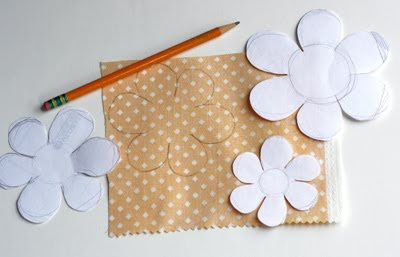 With a pencil, sketch flower shapes on the back of your fabric pieces. You'll need three sizes of flowers, so make each one progressively larger. 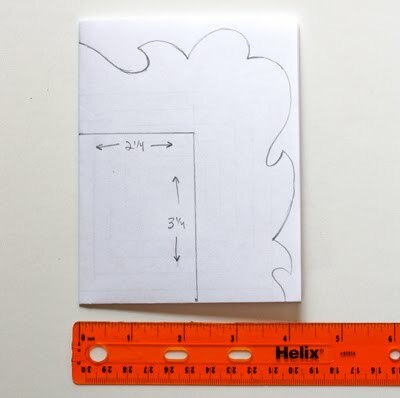 If you plan to make zillions of flowers, it might be good to draw yourself some paper templates to make your life easier. Don't worry about making perfect petals. This is a forgiving project. Cut out each flower piece. Then pinch little creases between the petals, overlapping them very slightly to add dimension. Press the creases with an iron. While each petal is still warm, roll the edges back to make a pretty petal shape. The fabric is very soft and pliable when it's warm, but after it cools a couple seconds, it's crisp again. If you're unsatisfied with a petal, just iron it again and reshape it. Layer three flower shapes in graduated sizes, staggering the petals. 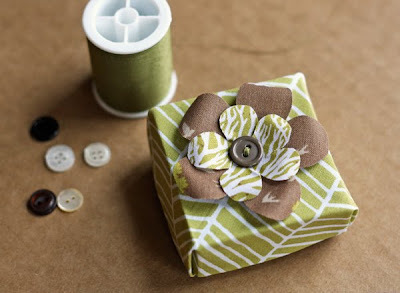 Stitch them together with a button in the center. I love how sturdy these are—crisp and flexible, all at the same time. They won't tear like paper, and they have a fabric texture. Nifty! 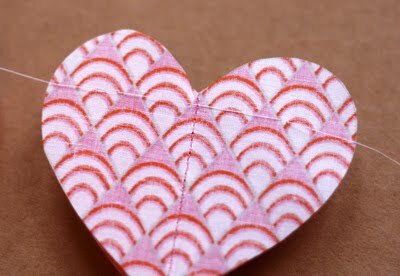 You have read this article fabric / tutorials / valentine's day with the title January 2011. 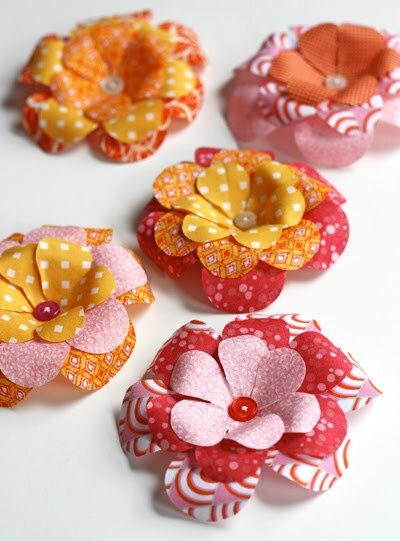 You can bookmark this page URL http://jenkrebs.blogspot.com/2011/01/fabric-flower-tutorial.html. Thanks! 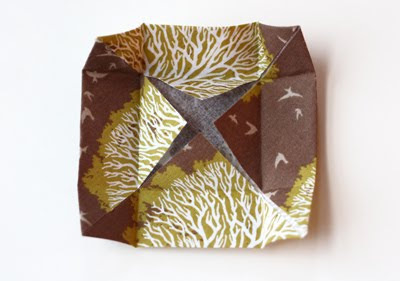 You have read this article fabric / origami / tutorials with the title January 2011. 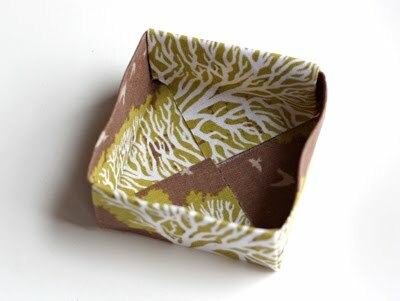 You can bookmark this page URL http://jenkrebs.blogspot.com/2011/01/fabric-origami-box-tutorial.html. Thanks! 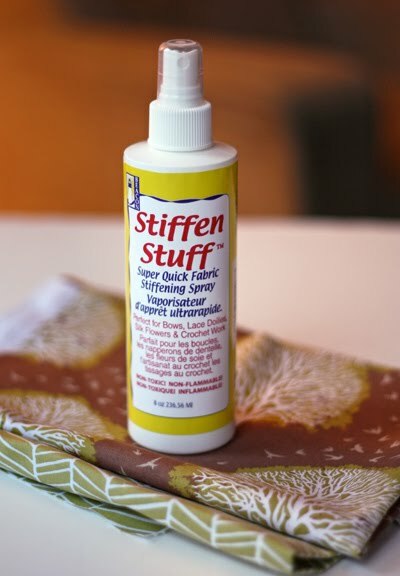 I've always wanted to experiment with stiffened fabric, so I picked up a bottle of the aptly named Stiffen Stuff at Michaels. I sprayed both sides of a piece of quilting weight fabric until it was thoroughly wet. 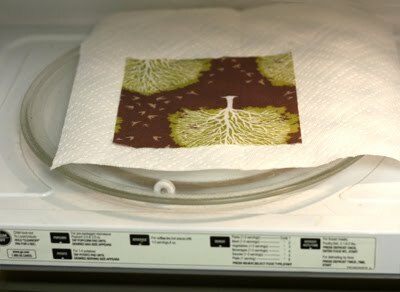 And then, because I'm an impatient girl who gets fed up with air drying, I laid the fabric on a paper towel and microwaved it for 30 seconds. It came out crisp like a sheet of paper! I pressed it for a couple seconds with an iron to smooth out any bumps, and voila. 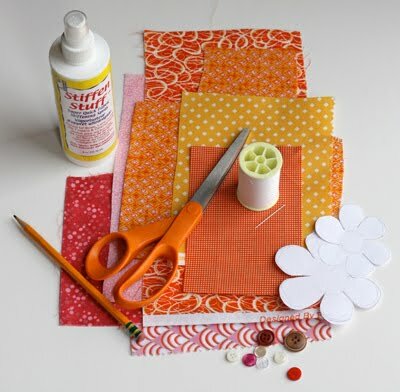 Stay tuned for projects with stiffened fabric! You have read this article tutorials with the title January 2011. 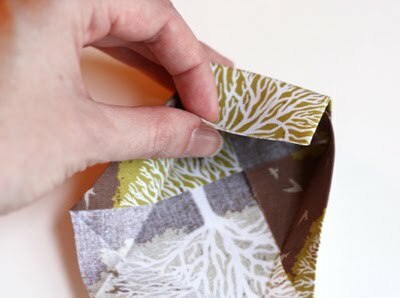 You can bookmark this page URL http://jenkrebs.blogspot.com/2011/01/how-to-stiffen-fabric.html. Thanks!